Your bridesmaids are your rocks. These are the people closest to you that you’ve chosen to be a part of the biggest day of your life. 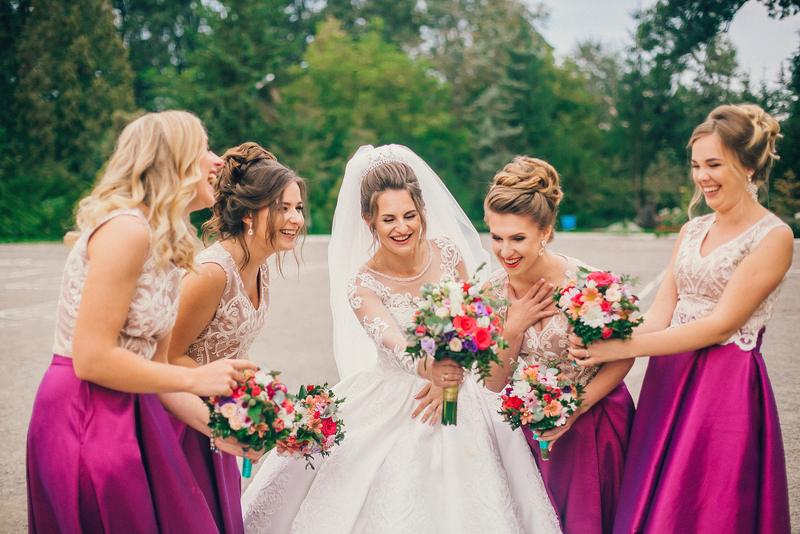 From helping to plan the wedding to throwing a kickass bachelorette party, they’ve got a lot of responsibility in making sure your wedding day goes as smoothly as possible. This is why many brides buy gifts for their bridesmaids as a show of thanks, but it can be a little overwhelming to decide what to give them. That’s why we’ve put together these five brilliant bridesmaids gifts that will show your ladies the thanks that they deserve. What girl doesn’t enjoy a spa day? Your bridesmaids are going through a lot for you—and of course, with you—to ensure you have the best possible wedding. They’re going to be tired, their feet will hurt, and by the end of the process, they’ll probably have some bags under their eyes. Why not treat them to a spa day at one of your local spas? Book them a full day of massages, a sauna, a facial, and whatever else you’d like to include. A day of pampering will go a long way in making them feel rewarded for their effort they put in. You could book it for before the wedding or afterwards, when everything is finished and out of the way. This is definitely one of the more fun bridesmaids gifts you can give. Traveling with jewelry on a vacation or weekend getaway can be annoying. Packing away necklaces and each pair of earrings in their own box can take up a lot of space that you sometimes don’t have, and if you try to put them all together, everything can get tangled up. 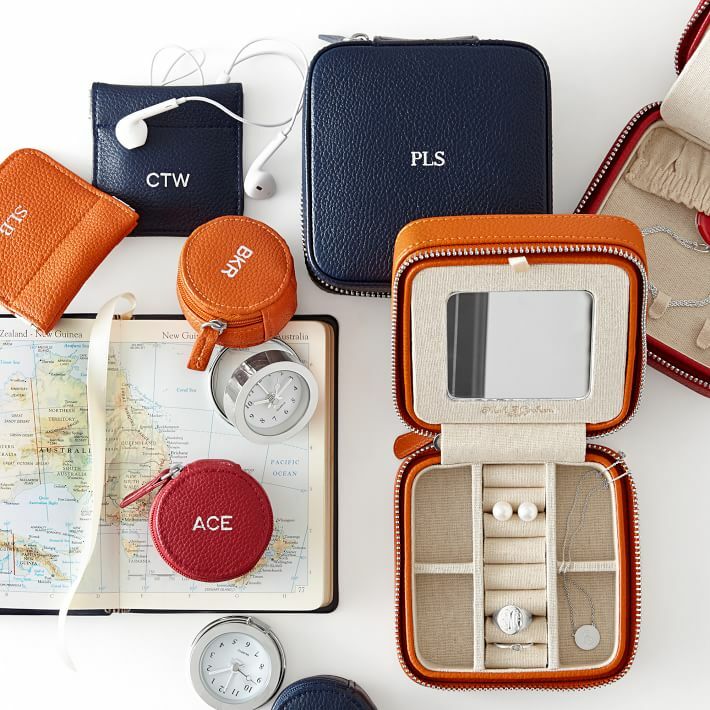 Treat your bridesmaids to these custom travel jewelry cases from Mark & Graham. 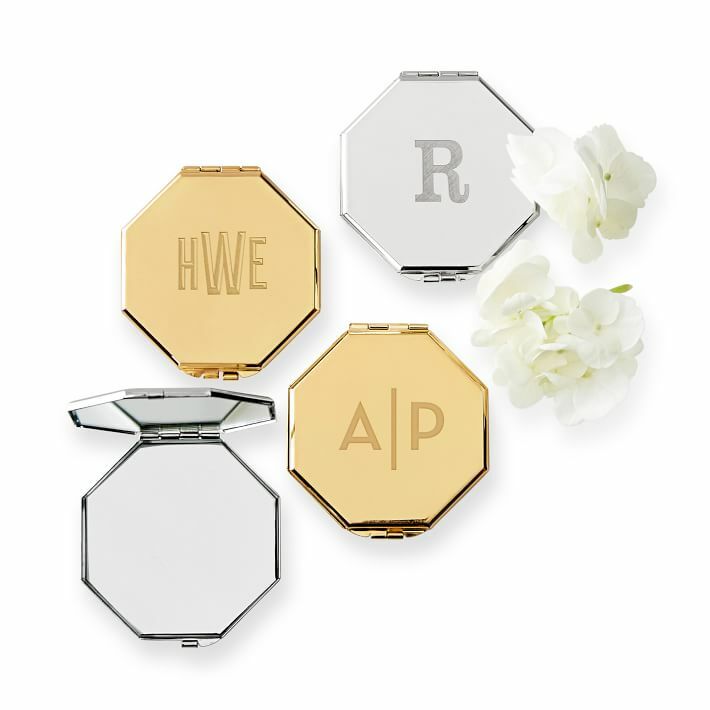 These cute little cases will cut down on a lot of storage when your girls are heading away on vacation, and will ensure their jewelry stays safe. Sometimes an experience is better than a physical gift. 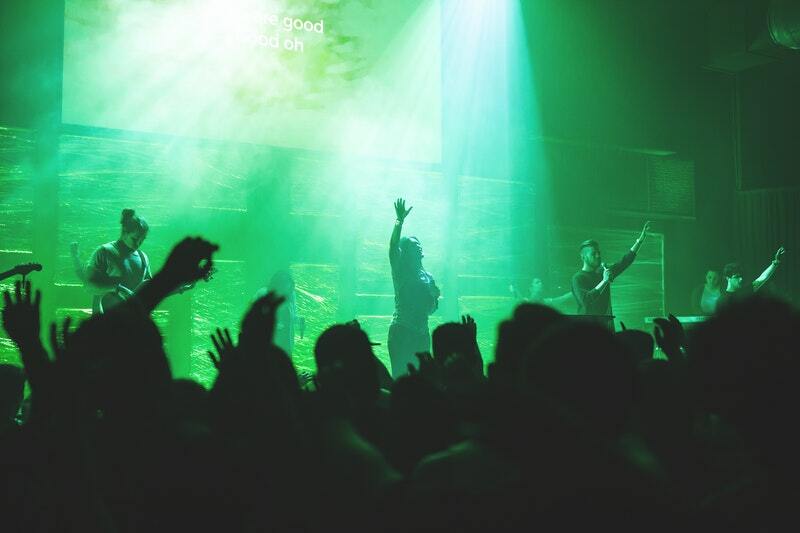 A concert can be much more memorable than getting them a physical gift, and a night out together with them allows everyone to relax for a night and bond with each other. Plus, if some of the bridesmaids don’t know each other, this can act as a great icebreaker before the wedding. Who doesn’t love a little wine and cheese? 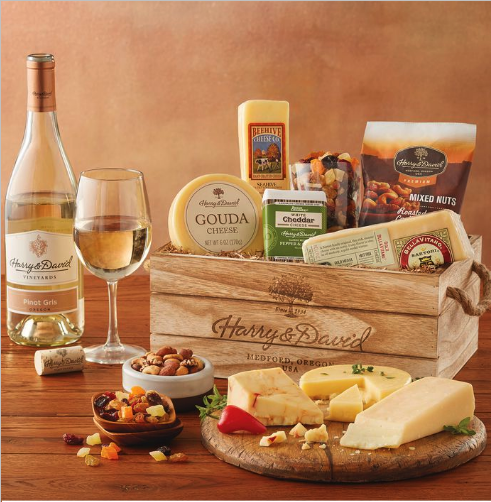 Get your girls a wine and cheese gift basket from Harry And David, and see their reaction. These baskets are filled with great wine and cheese that is sure to help them take the edge off. Definitely one of the best bridesmaids gifts we’ve seen. Here’s another great customizable gift: a slim and sleek customized compact that can fit in almost any clutch. You can get this from Mark & Graham as well. The compact is a simple gift, but because it’s customizable, your girls will love it. Put their initials on it and make it a gift they’ll remember for a long time! There are so many possibilities when it comes to bridesmaids gifts. A lot is going to depend on your budget, but there’s something for everyone. And don’t feel like you have to stick strictly to a physical item. As mentioned earlier, an experience can be a wonderful gift too!